As expected, Reckless Racing 2 is now available in the App Store. It is the sequel to the hugely popular racing game Reckless Racing which brought thrills and spills from the track as you slide you car around corners on dirt and tarmac. Strap down and prepare for the ride of your life... Reckless Racing is back with more! Including a selection of 18 highly detailed cars, ranging from small dirt buggies to fast supercars, and 24 routes in a variety of flavors make this a racer for all tastes - both dirt and tarmac.Compete in the Career mode to earn money for new cars and car upgrades. Have a quick race in the Arcade mode with 40 pre-defined challenges. Compete against your friends on the leaderboards in Single Event mode - including Race, Hot Lap and Elimination events.Tune your car in the garage to match your driving style with a vast selection of parts and upgrades. Whether you are a reckless power slider or a slick race driver, make your car the way YOU want it. 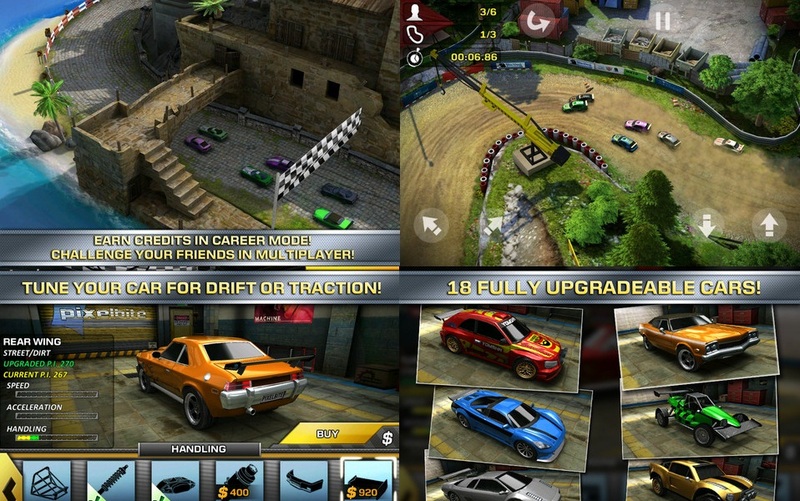 Reckless Racing 2 is available as a universal binary running on the iPhone 3GS, iPhone 4, iPhone 4, iPad, iPad 2, iPod Touch 3 (16GB +) or iPod Touch 4. It costs $4.99 with additional content available through in-app purchase.